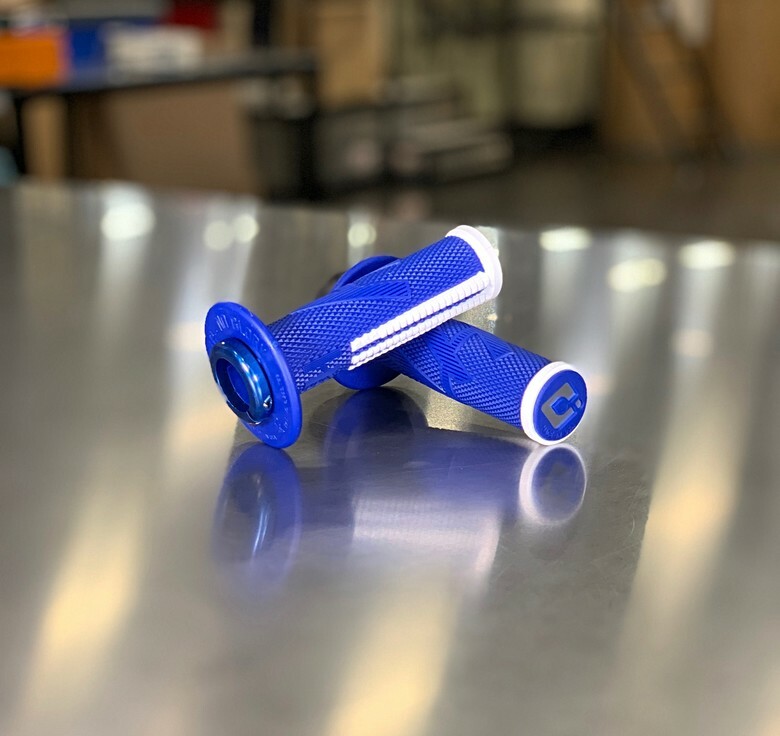 February 1, 2019 – The EMIG Pro Grip is finally here! October, 2013 the original EMIG V2 Lock-On Grip hit the market and has continued to grow and become a staple item in most retailers across the world. 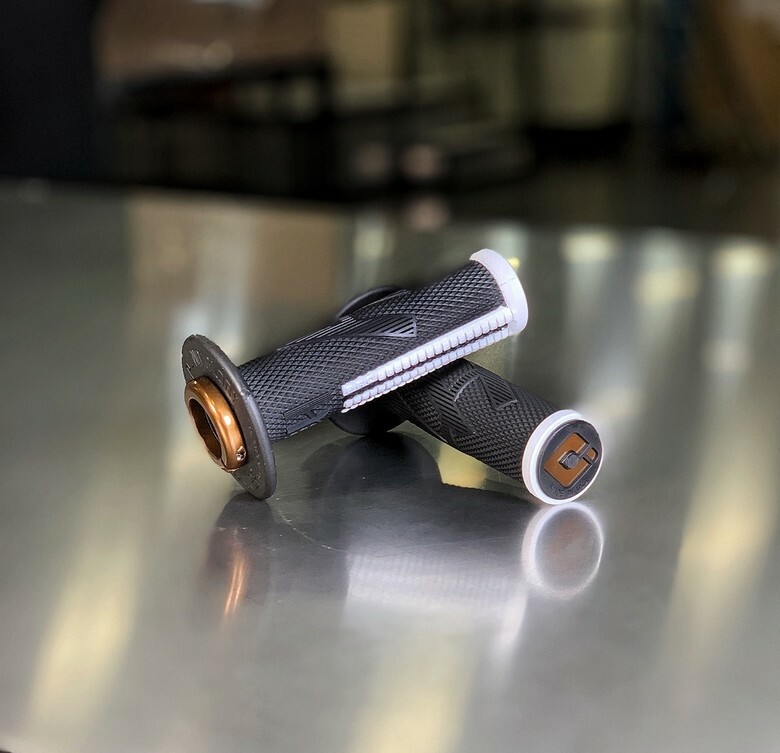 After the growth & popularity of the original EMIG Grip we realized that there were still a few checkboxes that needed to be checked off to take the EMIG Pro to the next level. With it's super "Soft" compound, raised diamond pattern surface, to its lateral traction waffles, and its raised JE logo perfectly placed to contour the curves of your palm for ultimate vibration dampening. 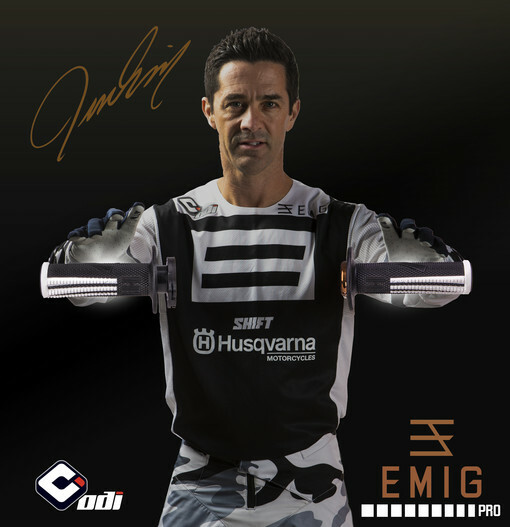 The EMIG Pro Grip checks those boxes!! Designed by Jeff Emig. 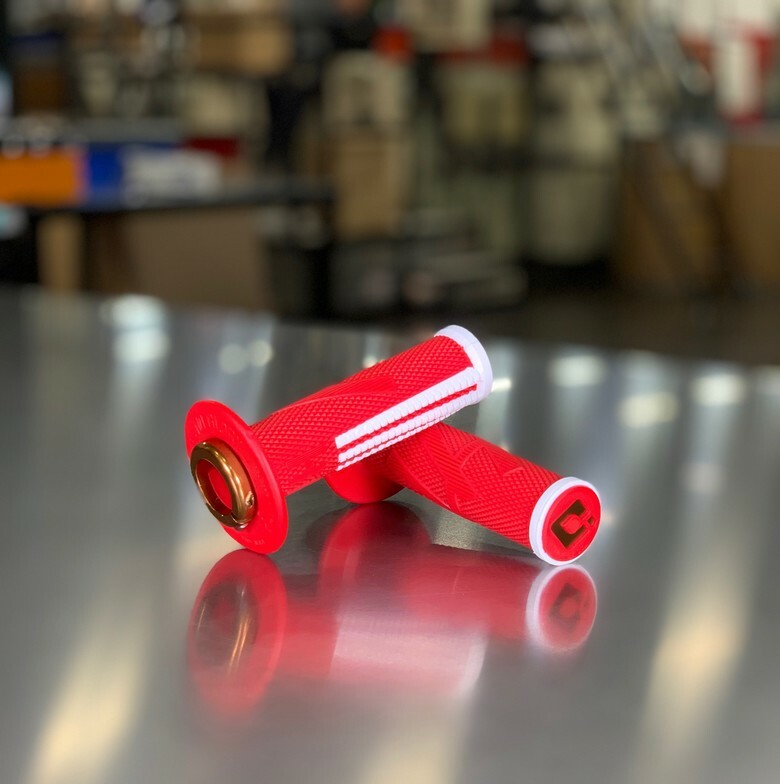 Developed and manufactured in-house at ODI Grips in Riverside, CA. This is the signature grip of 4-Time AMA National and Supercross Champion, Jeff Emig. The EMIG PRO ODI V2 Lock-On Grip delivers PRO LEVEL CONTROL. Made from our exclusive Pro Soft-Compound materials designed to absorb harsh impacts. Slim profile with offset padding conforms to palm to provide excellent impact dampening. 1. Raised center JE logo pattern conforms to palms, improves padding & reduces vibration. 2. Extra-soft, undercut independent ribs deliver lateral & rotational traction. 3. Alloy reinforced end caps provide extra durability against grip blowout. 4. ODI exclusive locking clutch-side collar attaches the grip providing 360° of Security. - Each packaged with Five OE Spec Throttle-Cams included for most popular, modern 2-Stroke & 4-Stroke MX Bikes. compound soft like grey renthals? The regular ODI grey compound are really soft. I would assume they are no different.